When I went to the library the other night to pick up a book I had put on reserve (The Uncommon Reader; review will be posted in a day or so), I took both my kids with me. My seven year old pi cked an entire stack of “Wimpy Kid” books, even though I think he has read or at least leafed through them all at this point. 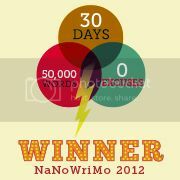 We have seen the movie based on the first book, I’m just estimating here, umpteen times. I also have read the first book, in one sitting. Last night I picked up book 2 and did the same. 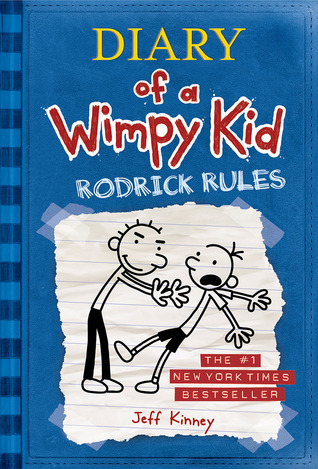 Cover to cover, I read Rodrick Rules. Of course, it’s a kid’s book, so it was easy to get through. Also, the illustrations throughout help move the book along. Although the book is geared toward kids, I chuckled at many of the drawings and humor. Although Greg Heffley bills himself as a “wimpy” kid, he tries to come across as cool and popular. His descriptions of his adventures with his friend Rowley are always entertaining. Rodrick is a typical older brother; constantly needling Greg and messing with him. The way author Jeff Kinney has captured Greg’s family is just so dead-on. Even if you don’t have a child, pick up the Wimpy Kid series and see if you agree that they’re well-done entertainment that is suitable for the entire family.